Vape Bright was founded on the concept of creating a pure CBD vape alternative. Ultimately, the idea was to create a convenient way to instantly activate the power of CBD to make us more happy and healthy. 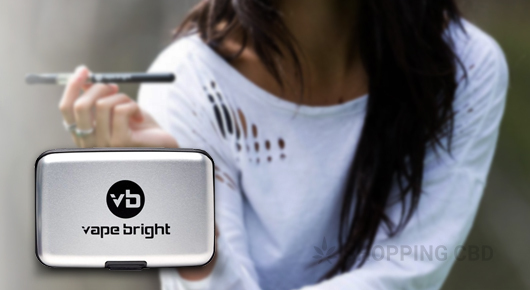 Vape Bright is the top choice for anyone who is seeking a simple, potent, and consistent experience, with a pure CBD cartridge that uses organic hemp oil and is also free from any carrier liquids. According to the Vape Bright website, their mission is to build a worldwide community of vibrant, happy, empowered, healthy, and thriving people, who are all committed to sharing the news about the incredible healing power of CBD oil. Jason Hand is the CEO of Vape Bright, and Ben Smith is the chief chemist. Together they have helped Vape Bright to explode onto the CBD vape scene, thanks to their selection of products that are the only of their kind in the world. Ben Smith made a revolutionary discovery by finding a way to instantly activate the power of CBD without any of the added chemicals that can be harmful to human health, and the product is formulated at a much higher potency. ‘Thrive’ is the first and currently only product range that has been released by Vape Bright, and has been a huge success amongst customers. The Thrive products include: CBD vape cartridges, starter packs, a battery, charger, and a carrying case. The company has stated that the success of Thrive has expanded their vision to create a global network of empowered people. They are extremely innovative. Vape Bright are one of the forerunners in the CBD vaping industry. They are fully committed to progress and understand that customer feedback on what they like, don’t like, and what they hope to see in the future, is important. Vape Bright are one of the few companies that don’t add carrier oil, such as propylene glycol (PG) to their products. Their oil is derived from organic hemp and there are no additives. They have been awarded by market leaders for their excellence in producing trustful, healthful products. They have a wholesale program for businesses, which offers the perfect balance of affordability and quality. One of the downsides of Vape Bright is the price. If you compare the prices with other CBD products available in the market, that use the same ingredients and give similar claims, you will find that the Vape Bright products are quite expensive. I love that Vape Bright offers one of the most innovative vaping CBD products in the industry; it’s their speciality. Aside from that, the quality of their products is brilliant. And you don’t have to take my word for it; just go ahead and take a look at their third-party lab results available on the website. These show that the oil contains 54% of CBD by volume, which is by far the most potent results any lab test has found. 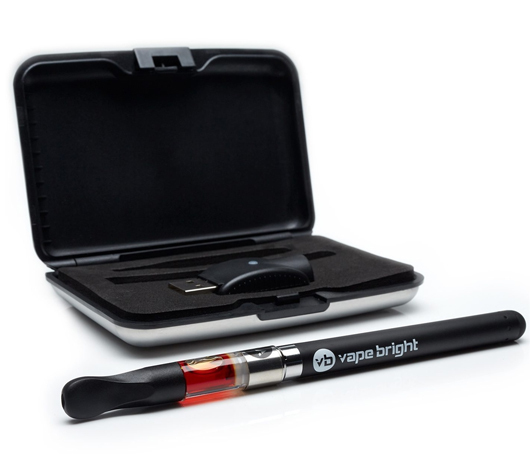 Vape Bright is fully committed to the act of vaping, which is why their only products available are related to vaping. The main product is the pure CBD vape cartridges, which are available in two different strengths: 200 mg and 250 mg of CBD. This was the first vape cartridge to be released and costs $45. Each cartridge contains 200 mg of great-tasting CBD oil, which contains no propylene glycol (PG) or any other carrier liquid. The recommended serving size is 10 inhalations, and each cartridge contains about 20 servings. Also important to note is that each serving contains 15 mg of hemp oil and 10 mg of CBD. The 200 mg vape cartridges are also available as part of a 3-pack or 5-pack deal. The 3-pack deal includes three cartridges containing 200 mg of CBD oil each (total of 600 mg) for $128.00. The 5-pack deal includes five cartridges containing 200 mg of CBD oil each (total of 1,000 mg) for $202. In other words, you could save a little money by purchasing the Thrive CBD vape cartridge in a pack. The 250 mg Thrive Beyond vape cartridge is an extra potent formulation for those who still want to enjoy the great natural flavor but with even more potency. It’s available for $55 and is designed to push the limits of the amount of CBD that can fit in a single cartridge. Each serving of Beyond will give you 10 mg of CBD for much less effort. Even more impressive; it offers 15 times more the amount of CBD in each cartridge than any of their competitors. The recommended serving size is 8 inhalations, and each cartridge contains about 25 servings. You cannot do anything with the vape cartridges until you purchase one of the Vape Bright starter packs. There are two starter packs available – a 200 mg and 250 mg option. Each starter pack includes a battery, charger, and carrying case, along with either one 200 mg or 250 mg vape cartridge, depending on which you choose. You could also purchase the case, charger, and battery separately for $20. The starter pack includes everything that you need to vape. The 200 mg starter pack costs $55 and comes with one 200 mg vape cartridge. Designed for your convenience, you can take it with you anywhere and use it anytime that vaping is allowed. Each puff of Thrive delivers 1 mg of pure organic CBD, which is up to 10 times that of competitors. The 250 mg starter pack costs $65 and comes with a 250 mg vape cartridge. Due to the high CBD potency of this cartridge, it’s advised that you store and keep it at stable room temperature. Highly fluctuating temperatures could cause some crystallization. However, crystallization is not a defect but rather a natural occurrence due to the nucleation effect that occurs in CBD at high concentrations. Crystallization can be easily remedied by running the cartridge under hot water. But it’s still better to try to avoid this. The Vape Bright pens are the best in vaporization and contain a battery that charges quickly and is able to keep up with you. It’s known for having a long battery life, giving over 100 inhalations. In addition, there is no button – you can simply inhale. Another major plus is that it’s easy and fast to recharge in any USB port, taking about 30 minutes to reach full power. According to the Vape Bright website, they always put quality first, using only the finest organic hemp oil and ensuring that it’s pure and unadulterated. In fact, Vape Bright is one of the few companies that doesn’t add carrier oils such as propylene glycol (PG) into their products. PG is often added to cosmetics and vaporizer oils, but it’s controversial because many people perceive it to be a toxic substance. PG enhances the cloud of smoke produced on an exhale, but just because you don’t get huge clouds of smoke doesn’t mean you are not getting a proper hit. 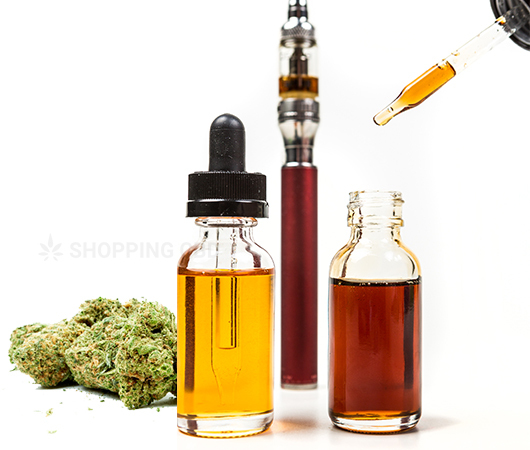 There are no additives in the Vape Bright CBD oil, other than natural cannabis terpenes used to make the oil taste like real cannabis, which are used instead of artificial flavors. The oil is an amber-gold color, which is a sign that it has been filtered properly. The darker, greener oils haven’t been filtered and could still contain micro-remnants of the original plant material. Vape Bright uses CO2 extraction, which is considered best practice in the industry because it preserves more of the beneficial chemicals from the plant, like terpenes and other cannabinoids, and it’s considered to be safe. 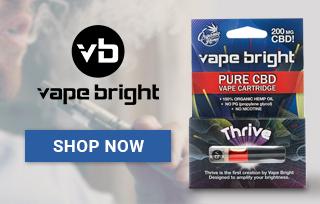 Although the Vape Bright products are available to purchase on sites such as Bio CBD Plus, it’s always recommended that you purchase directly from the official company website. The Vape Bright website is user-friendly, informative, and lists each product clearly. Currently, there are not too many products to choose from – which is a good thing in a way, as it should make your decision-making process quick and easy. Vape Bright supplies some of the highest-quality products at affordable prices. The company has certified lab testing results and sells products that are 100% organic hemp oil. Another major advantage is that Vape Bright offers a guarantee whereby you can return your product within 60 days and get a full refund if you are not 100% satisfied with your purchase. It’s unusual for companies to give such a long guarantee period. Vape Bright offer some excellent vaping products that are chemical-free and as clean as possible. The packaging is professional, the vape pen is easy to use, and the battery charges quickly and efficiently. As a newbie to vaping, I had a lot of questions about it. Vape Bright answered all my questions quickly, and helped me decide which product to buy for my first experience with CBD vaping. When im at college for the whole day, vaping Vape Brights oil really relaxes me through all the classes. I’ve just used the Vape Bright battery set for the first time and it couldn’t of been any easier to use. Nothing is more relaxing than using Vape Bright’s CBD Vape Cartridges. It's so fun to experiment with a CBD vape. I great site to begin trying CBD vape, lots of answered questions and good quality products. Cecelia from Dallas just bough! Alina from Dallas just bough! Sarah from Dallas just bough!